Every future bride-to-be has a vision of what she wants her big day to look like. From the time that they were little girls, these women have thought about and planned this milestone in their minds and created a mental image of what they call their dream wedding. When the time finally comes to say, “I do” these dreams and plans become a reality. After the love of their life gets down on one knee and proposes, it is time to begin the journey of picking out the venues, the photographer, the caterer, the DJ, but most importantly, the perfect dress, details and décor. The theme of the wedding is usually suited to the location that the couple chooses, and all of the decorations and smaller elements are based around that structure. A theme of a wedding isn’t always something like country chic or the 1920s, it can simply be based on a colour palette of the bride’s choosing. Flowers are a major part of the decorating process; they make the setting of the ceremony and reception both unique and appealing to the guests. 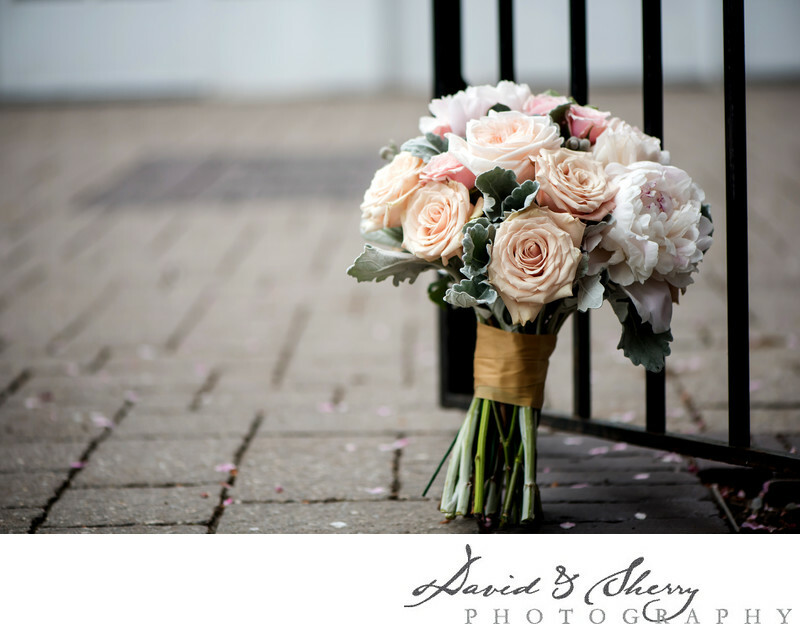 The bridal bouquet is the most important floral arrangement, as well as one of the more essential accessories to go with the bride’s attire and complete her look. When we shoot a wedding, we make sure to capture photos of the bouquet on its own because of the work that went into choosing the arrangement.